Enjoy your dance, feel your passion, build up your knowledge and correct dance technique, pay attention to your breathing and your posture as you stand still, walk, move, while you practice alone or with your friends. Dance with intention. 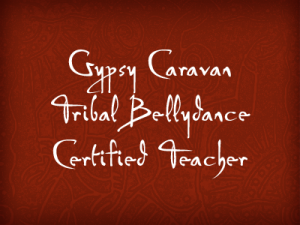 Tribal is meant to be shared with your dance partners, so learn how to be present in the moment as you use our improvisational language from our Gypsy Caravan Tribal Bellydance® repertoire. Allow yourself to feel the strength and the beauty of the dance. These online classes are meant to be used as tools for you to improve and practice your dance. The Tribal Connection, coming January 2019!! Our new yearly or quarterly membership program! Bringing the global community together! Online Classes #1 -#22 are here for you! **view Trailer for Class #1, here! 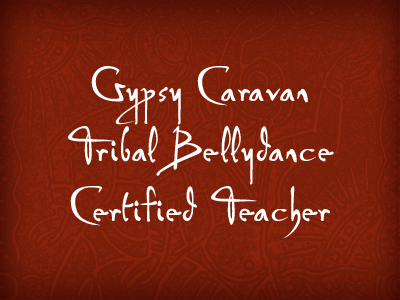 Join Paulette and Gypsy C dancers Carol Vance and Hilary Giovale–filmed in Flagstaff, AZ! Let’s work it dancers! 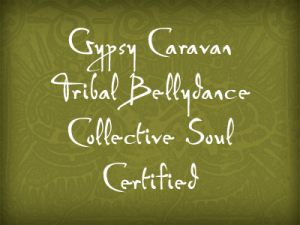 get your tribal groove going… basic to more advanced…layer and add variations! 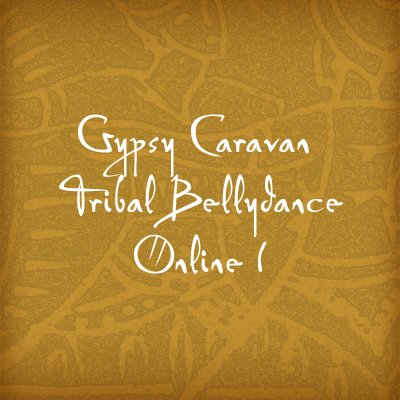 Online Class #3–More Tribal Bellydance! This is a three part workout- Grooves and Drilling, with a mini choreo to follow! With Paulette and Cinzia Di Cioccio — Review, drill, and add more steps to your dance, and a few orbits to share with a partner! 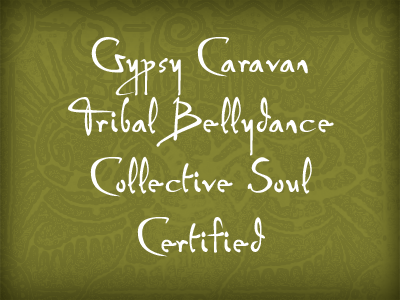 With dancers Paulette, Carol Vance, Karen Hunt, and Gina Lee — Using different walks to travel and use the space, rooted and grounded moves, with that powerful folkloric styling, all levels… enjoy and get that Tribal feel! Online Class #8–Slow and Stretchy Warmups–Need more, here you go! Now you have time to slow down, breathe, and warm up the body, whether you are going into dance gear after or you just need a good stretch and strengthen session! 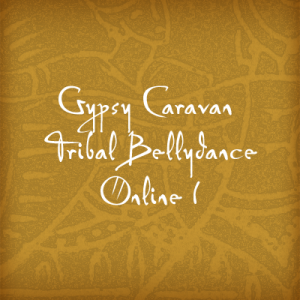 Are you ready to step it up and add some feisty new combos and variations on our Gypsy Caravan Tribal Bellydance ® format? 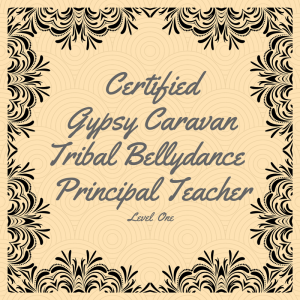 Online Class #10–Funky Bits and Groovin’ It Up! Wanting a good 25 minute dance workout? With twelve moves to step it up and have fun with your dance! that feel so good on and in the body, and look divine! Review, refine, and learn new steps… and then drill, and a cool down to end! Starting with a warm-up, get that body ready! Add 6 new yummy moves for your Technique, do your Drilling, and Cool down–end your work out and feel great! 11 variations and 21 minutes for you to get dancing and drilling… enjoy! 21 minutes…just right for a good quick dance workout session! Online Class #16–Upbeat Hip Action! Wanting a good 25-minute dance workout? With twelve moves to step it up and have fun with your dance! Get those hips moving, do some traveling, and add some faster moves to your dance! New, review, refine, and drill! Put a smile on your face and get your tribal on! For Intermediate/Advanced GCTB dancers! Complete with A warmup, instructional technique breakdown and two drills to get these moves into your body and your dance, along with other steps for transitions! Online Class #18 — The Rotating Orbits! with basic Zilling demonstrations and explanations, and lots of drilling, with and without the zils! 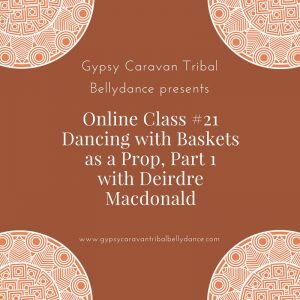 This is the first online class in our prop series… using a basket as a prop, to add variations to your GC dance steps!